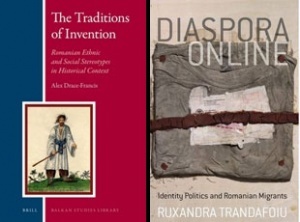 Alex Drace-Francis and Ruxandra Trandafoiu, the authors of the newest Western incursions into our national soul – “The Traditions of Invention. Romanian Social and Ethnic Stereotypes in Historical Context” (Brill Publishers, 2013) and, respectively, “Diaspora Online. Identity Politics and Romanian Migrants” (Berghahn Publishers, 2013) - examine the stereotypes, misunderstandings, and transformations of Romanian identity at home and abroad in a pursuit of a multi-faceted, ever-changing reality. The conversation, chaired by Dr Dejan Djokic, opens a new partnership with the Goldsmiths Centre for the Study of the Balkans that aims to encourage creative research and significant thinking relevant to the study of Romanian topics and the Balkans. The books will be available for purchase. Literary and cultural images, once considered marginal to the main currents of political and institutional development in South-eastern Europe, have been accorded much greater importance by scholars in recent years. In this volume Alex Drace-Francis brings together over fifteen years of work on the topic of representations of Romania and Romanians. Crossing the East-West divide, the book studies both external images of the country and people, and domestically-generated representations of Europe and 'the West'. It draws on material in a wide range of languages and offers a long-term view, providing a nuanced and historically-grounded contribution to the lively debates over Balkanism, Orientalism and identities in Romania and in Europe as a whole. Alex Drace-Francis is Associate Professor in the Literary and Cultural History of Modern Europe at the University of Amsterdam. He is author of “The Making of Modern Romanian Culture” (2006) and co-editor of three books on East European travel writing, as well as of the document collections “Where to Go in Europe and European Identity: A Historical Reader” (2013). 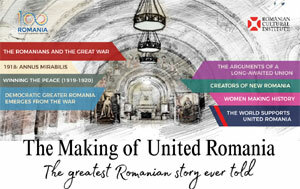 After the fall of the Iron Curtain in 1989, millions of Romanians emigrated in search of work and new experiences; they became engaged in an interrogation of what it meant to be Romanian in a united Europe and the globalized world. Their thoughts, feelings and hopes soon began to populate the virtual world of digital and mobile technologies. This book chronicles the online cultural and political expressions of the Romanian diaspora using websites based in Europe and North America. Analysis of online sites, supplemented by interviews with migrants, poets and politicians involved in the process of defining new diasporic identities, provide the basis of this book, which defines the new cultural and political practices of the Romanian diaspora. Ruxandra Trandafoiu is Reader in Communication Studies at Edge Hill University. A former journalist and art critic, she specializes in nationalism, online communication and European politics. Her co-edited book “Musics in Transit: Musical Migration and Tourism” is published by Routledge in 2013. Free entry, but please confirm your attendance at office@icr-london.co.uk.